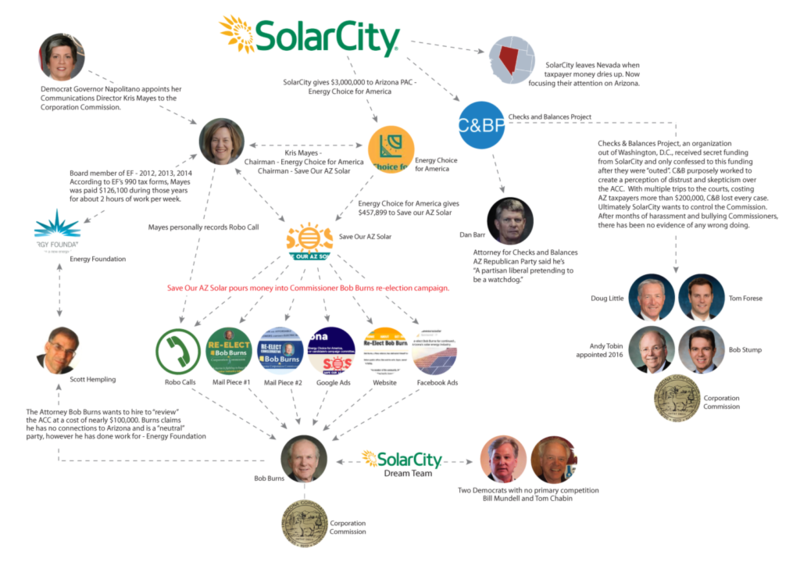 SolarCity, a company who has one of the largest financial stakes in decisions that are made by the Corporation Commission is pouring money into Bob Burns re-election campaign through the AZ “Save Our Az Solar” committee. From mail pieces and robo calls, to Google and Facebook ads. What they don’t want Republican voters to know is that they are desperately hoping their candidate makes it out of the Primary so they can team him up with the two Democrats in the General election. Yes, that’s correct; the SolarCity Dream Team – Bob Burns and the two Democrats. He said, She said. Very confusing. All I want to know is who do you consider running for office to be = true Conservatives,( well, as close as possible, that is). I am in Matt Salmon’s district, East Mesa. Is it possible to ID such people? And, yes, I have Solar City panels.